Baywood is a retro-southern rock/pop band that weaves rich three part vocal harmonies and strong melodies with the sounds of electric, acoustic and pedal steel guitar. Baywood is a classic, southern, rock band that features the powerful lead vocals of front man Ronny Lee and the songs of guitarist-vocalist Bill Rotella. Their music weaves rich three part harmonies and strong melodies with the sounds of electric, acoustic and pedal steel guitar. Baywood has been labeled both “retro- southern rock” and “rock n’ country”. Baywood has worked with notable producers Pat Glasser (Night Ranger), Bill Pfordgerusher (Ambrosia) and most recently Kevin Fisher (gold record songwriter for Rascal Flatts and Sarah Evans). Baywood songs have appeared in the motion pictures “Born to Race”, “Action U.S.A” and “3 Days Blind”. 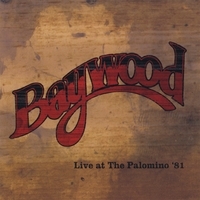 Baywood has released two CD’s and recorded many as of yet unreleased tracks. The first self titled mini CD, “Baywood ”, contains 5 studio tracks and their second release titled “Baywood- LIVE!” contains12 songs. On both CD’s audiences are treated to the electrifying guitar interplay between lead guitarist-vocalist Stewart Marsh and pedal steel guitarist James “Sparks” Sinclair. The powerful rhythm section of drummer Marty Fera and bassist Bill Hurlbut drives the band’s live performances. The members of Baywood have also performed with other very successful artists. Steel guitarist James “Sparks” Sinclair has recorded in studio sessions for Elton John and other notable artists. Drummer Marty Fera has toured and recorded with the Eagles' Glenn Frey and Joe Walsh. Guitarist-vocalist Bill Rotella has toured and recorded with Los Angeles band Dakota. Baywood is currently recording new material for a 2009 release. In addition to their numerous original songs, Baywood performs many other songs worth singing. Their live performances combine both original and classic cover songs. You are invited to contact the band. We will keep you informed of our performances and other notable news. Thanks…and we truly hope you enjoy our music!